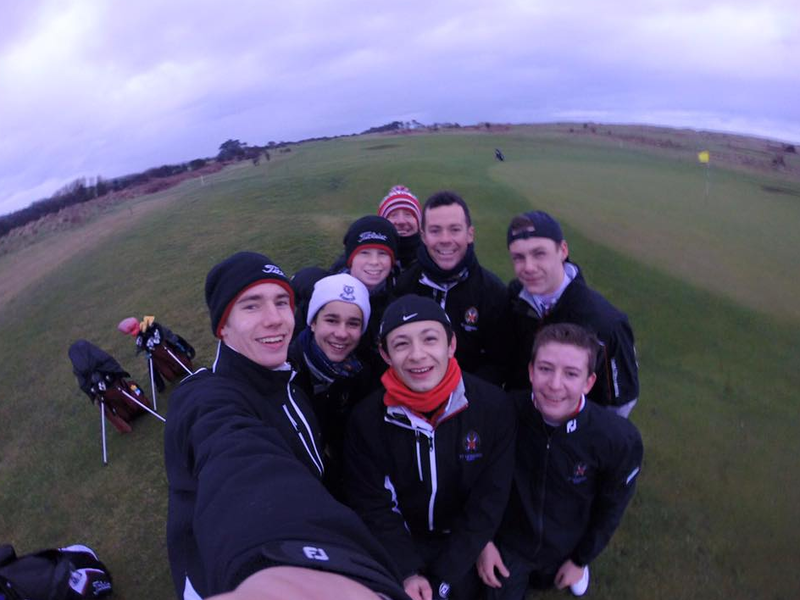 Six members of the St Leonards Golf Team started their half term holidays early and travelled to Dublin for their 2016 Golf Tour. Accompanied by St Leonards Director of Golf Fintan Bonner, St Andrews Links Golf Instructor Scott Herald and Head of Curriculum PE Mark Baxter, the school team travelled to compete against County Louth Junior Golf Club, one of the largest and well renowned Golf Clubs in Ireland, host to the Irish Open. Once the squad had arrived at County Louth, they played a practice round before enjoying dinner and familiarising themselves with their golf club home for the next few days. The two teams met on Saturday morning ahead of their first match in Portmarnock Golf Club, situated on the outskirts of Dublin. Although the cold weather conditions had set in, St Leonards successfully finished leading 2-1 as Ben Caton and partner Paul Fiedler won their match as well as Mihail Martynov, who was paired with Miguel Rieder. A celebratory meal and a trip to the local cinema were enjoyed by the victorious St Leonards team before returning to camp! 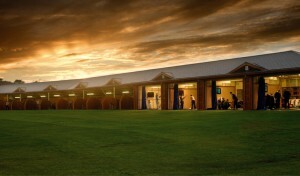 Sunday allowed intensive training for both golf teams, as they hit the driving range for a thorough warm up and practice session with the three professional coaches. Fintan Bonner, Scott Herald and Scott Wilson, the Junior Convenor and Assistant Club Professional from County Louth worked with a group of junior members of County Louth while the second matches headed out on to the course. Pairs Jan Friebe with Pol Berge, and Mihail Martynov with Miguel Rieder won this round, making the overall score 4-2. The visiting St Leonards golf team was presented the replica Claret Jug trophy by the County Louth Golf Club Committee, returning home the winners of their first tour. The sporting trip was a resounding success for both sides and the start of a strong relationship has been established. St Leonards has confirmed its return to Ireland in October with a team from SALJGA to enter a threeway competition. Fintan Bonner, Director of Golf at St Leonards was delighted with the trip and of course the result: ‘This was a an amazing opportunity for the St Leonards kids to compete on some of the famous links in Ireland against such a big Golf Club like County Louth Golf Club. 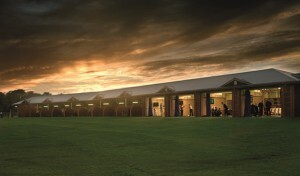 Playing Golf Courses as demanding as Portmarknock and County Louth will fine tune the golfer’s abilities and make them a more complete, well rounded golfer, which is our ultimate goal of the Elite Golf Programme at St Leonards. This is the start of a fantastic annual tour between St Leonards, SALJGA and County Louth Golf Club’. 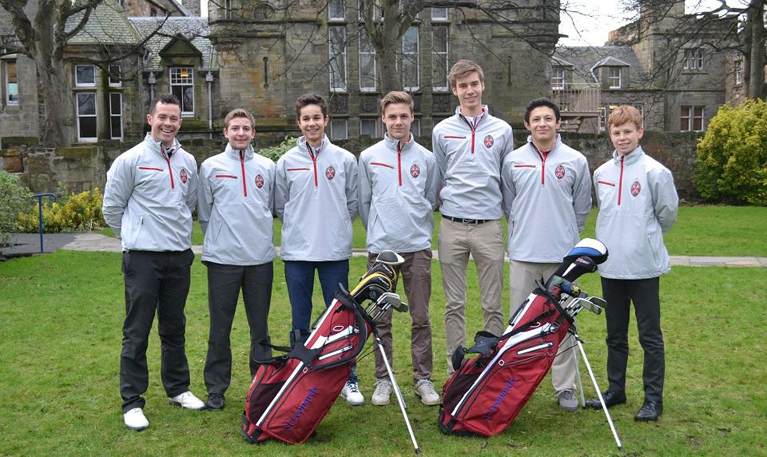 The St Leonards Golf Team on the tour was selected from the Elite Golf Programme offered within the school. Team members were Paul Fiedler, Pol Berge, Mihail Martynov, Jan Friebe, Miguel Reider and Ben Caton. Well done to all players!